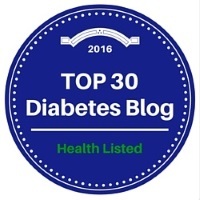 There has been a lot of good news out this week in the Diabetes Community! 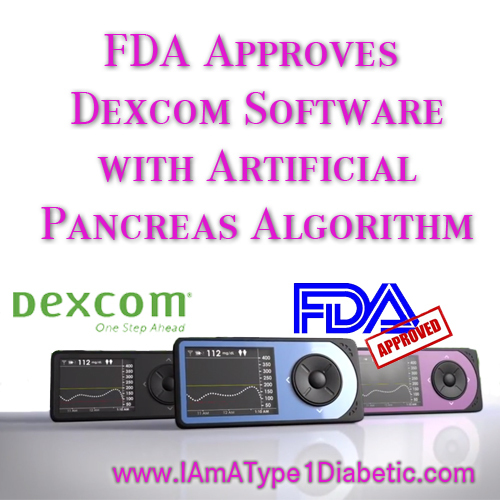 Today, I get to share that the FDA approved new Decom software with artificial pancreas algorithm. Earlier this week, I posted about experimental encapsulated cell replacement therapy called VC-01™. Both are getting us diabetics closer and closer to that “cure” we have been searching for since the invention of insulin! SAN DIEGO–(BUSINESS WIRE)— Dexcom, Inc., (NASDAQ:DXCM), a leader in continuous glucose monitoring (CGM), announced today that the U.S. Food and Drug Administration (FDA) has approved new software for the Dexcom G4® PLATINUM CGM. The new Software 505features the same advanced algorithm as used in artificial pancreas research around the world. The software will impact the performance of the Dexcom G4 PLATINUM, already considered the most accurate CGM system on the market today. The software will be made available free of charge to adult patients using the Dexcom G4 PLATINUM. Dexcom, Inc., headquartered in San Diego, California, develops and markets continuous glucose monitoring systems for use by diabetes patients, as well as blood glucose monitoring systems used by healthcare providers in hospital critical care settings. Available to Dexcom CGM users at no charge, and those who are 18 years and older, the NEW Software 505 features the same algorithm used in the Artificial Pancreas Research and is available to existing Dexcom customers for free! The Dexcom Update Tool will guide you through the download process. For those who are already using Dexcom G4 PLATINUM, of course you want to download the software! Here is where you can download. Unfortunately, I cannot. Hopefully, it’s just for the moment. I am an Mac girl, and this is currently only available for PC! If you don’t currently use Dexcom or have a Continous Glucose Monitor, watch the video below about how it has made life so much easier! ← Improving Lives. Curing Type 1 Diabetes!